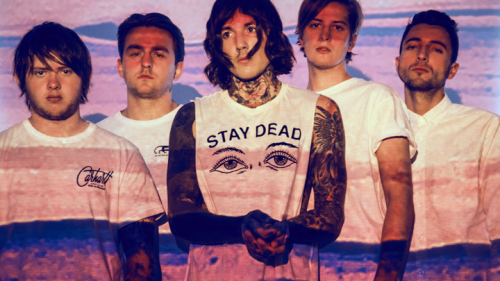 Tonight, I’m going to see Bring Me The Horizon (for the third time this year), and I’m so stoked! They’re so amazingly brilliant, sometimes I can’t believe it. I’ll listen to the songs and I’m sat there in awe at how beautiful the lyrics are. The energy they give off when performing is insane. The crowd quite literally screams the lyrics back to the band, and it’s great to be a part of that. 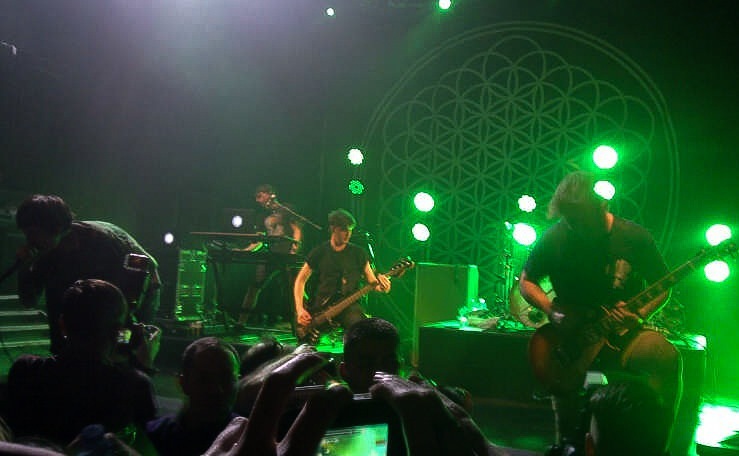 The first time I saw them was in May, at Koko in Camden. They opened with Shadow Moses, from the new album, which was phenomenal! Everyone had so much energy, and the standing area was basically one big mosh pit. It was a struggle to breathe. But that’s all part of the fun, so I didn’t care too much! A wall of death opened up at one point, and I thought I was going to pass out. An elbow to the face isn’t great, but when it happens to you at the same time you get a fist to the head, it gets a bit too painful. I literally dropped halfway to the floor, and crab-walked my way to safety – which just happened to be even closer to the front than I already was. I honestly was not complaining, at all. Chelsea Smile was a highlight of the gig, purely because I love that song so much. Seriously. I think I blew my throat out screaming “I may look happy, but honestly dear the only way I’ll really smile is if you cut me ear to ear.” My favourite line of the song, however, is: “We all carry these things inside that no one else can see. They hold us down like anchors, they drown us out at sea.” Hearing that line, live, was such a beautiful moment in my life. I love the lyrics in a lot of their songs. One of my favourite songs ever written is It Never Ends. That song means so much to me, it’s frigging ridiculous! I won’t even bother writing about it, cause I’ll end up as a ball of emotions, quivering on the floor because I’m far too excited for tonight, and I know they’ll play it!! 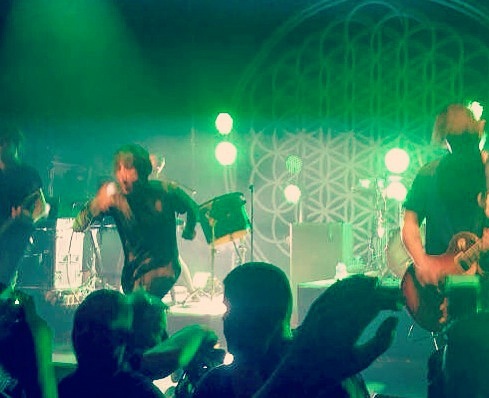 Another highlight was And The Snakes Start To Sing, purely because you couldn’t hear Oli Sykes singing the line “I’m just a would’ve been, could’ve been, should’ve been, never was, and never ever will be” because the crowd drowned him out. True story. They ended with Sleepwalking, which just adorable. 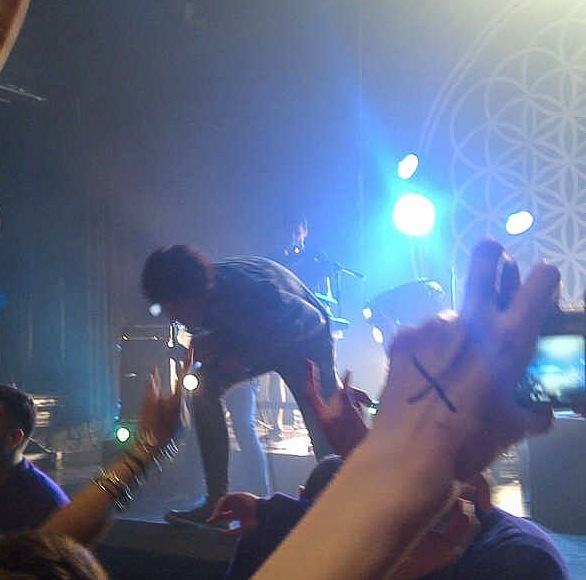 Oli singing is surreal, because you’re always so used to him screaming. The lyrics and the music is just amazing, and that song very quickly turned into a favourite of mine when it came out. The second time I saw the band was at Reading Festival this year. The setlist was slightly shorter (I think… it felt shorter, anyway) but still incredible! After seeing the band at both a small venue and at a festival, I can honestly say that they’re better in a small venue. It’s so much more intimate, which fits in completely with the crowd energy. I’m so stoked for tonight, it’s unreal! Work cannot finish soon enough, I just want to go and meet my friends, catch a bev, then turn up in time for Pierce The Veil (the second support, who are also freaking incredible!) I’m not too bothered about getting to the front, purely because I’ve seen them twice now already! 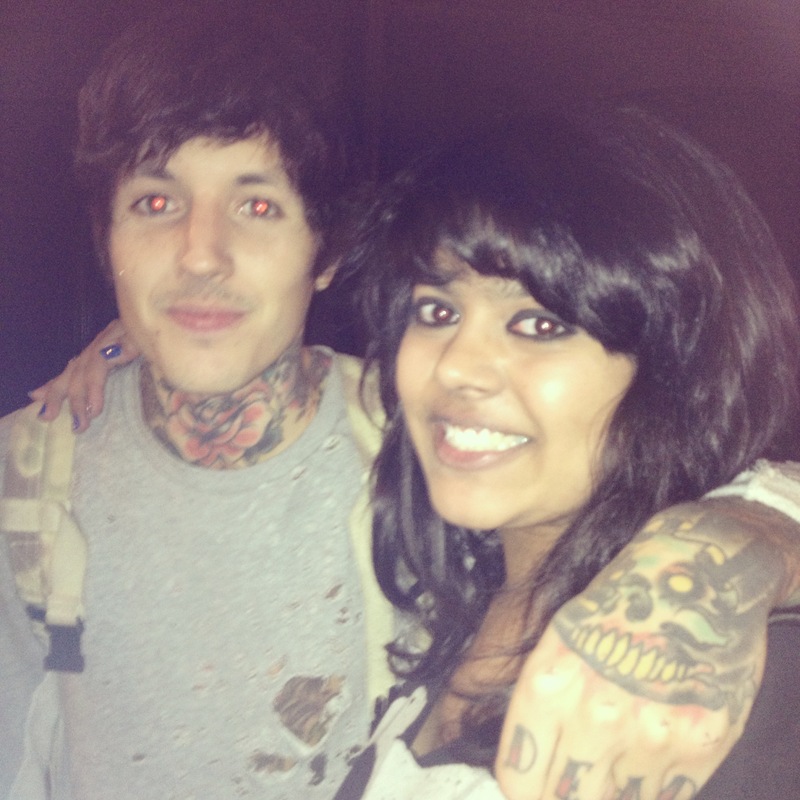 Last time I hung around outside the gig and met the band (for the second time… the first time I met them was at the Sempiternal album signing, which was pretty cool) and I got a picture with Oli! Happy daaaaaays! !